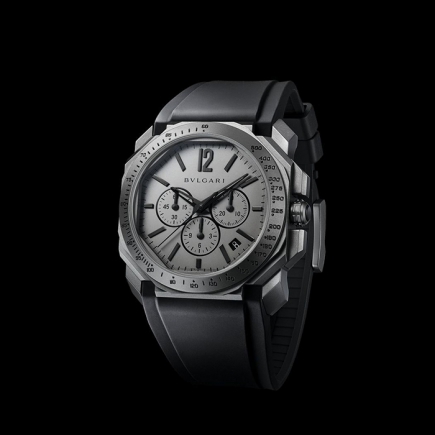 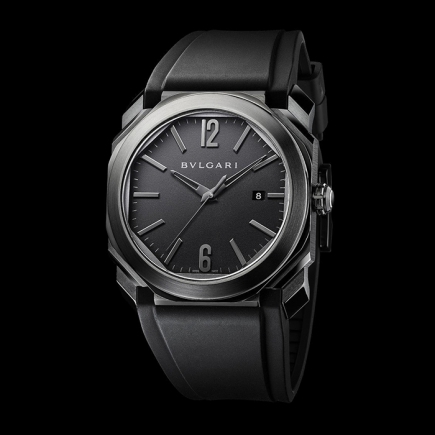 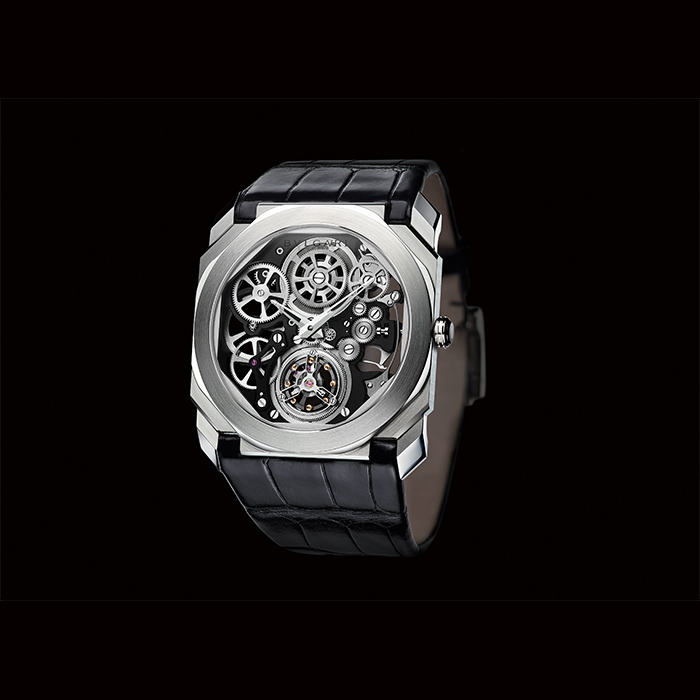 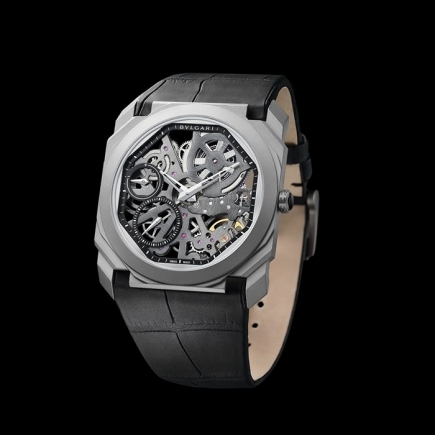 Bulgari | 140'000 € Tax inc.
With its proud creation of the Finissimo calibers, Bulgari’s master craftsmen have broken world records in slimness and overcome one of the most extreme challenges in horology – skeletonising miniaturised parts that function in perfect harmony. 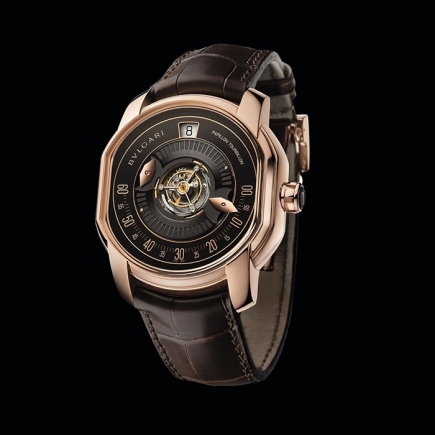 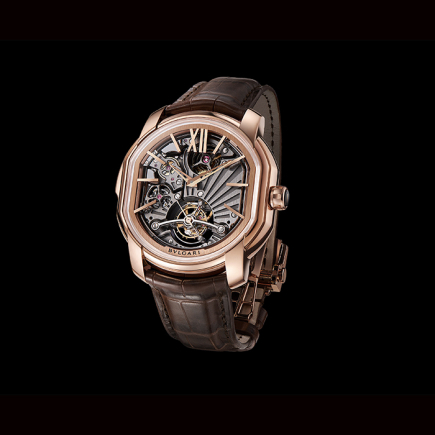 Thanks to this complex technique, the Finissimo open case back displays the watch’s inner perfection, bringing elegance and delicacy to the caliber. 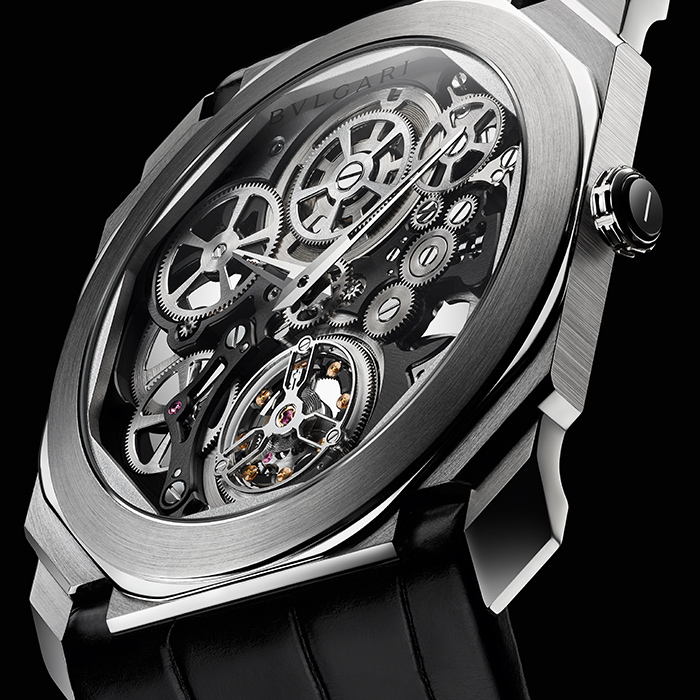 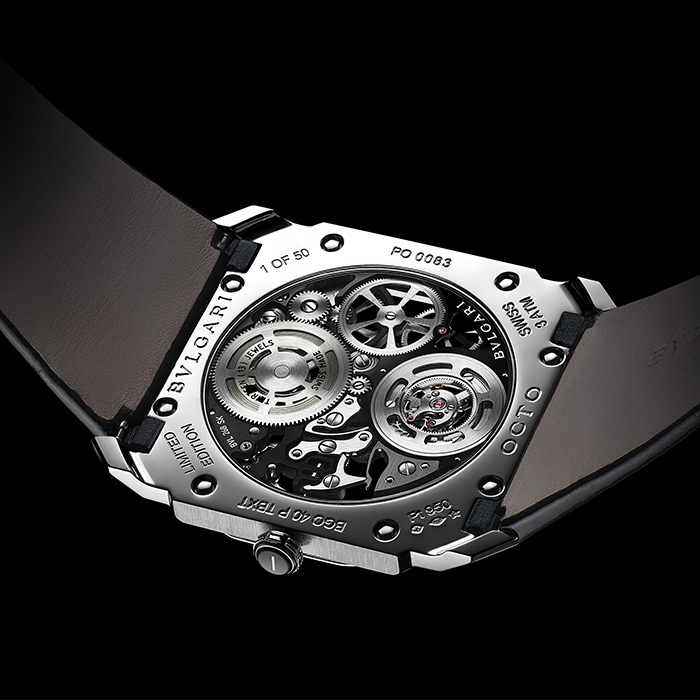 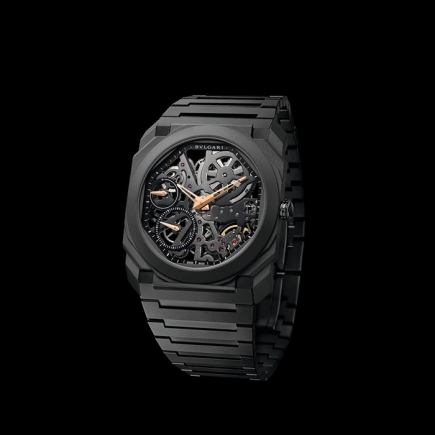 Extra meticulous decoration and finishing operations are applied to each of the caliber’s sections, artfully responding to the demands of the complicated skeletonising method. 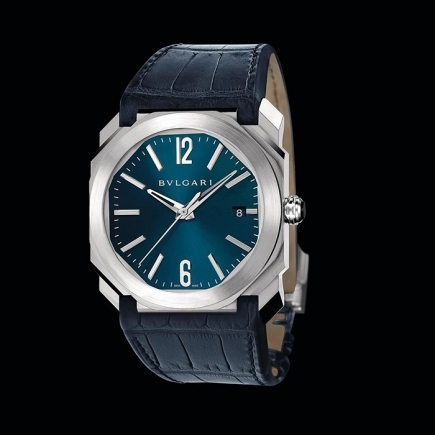 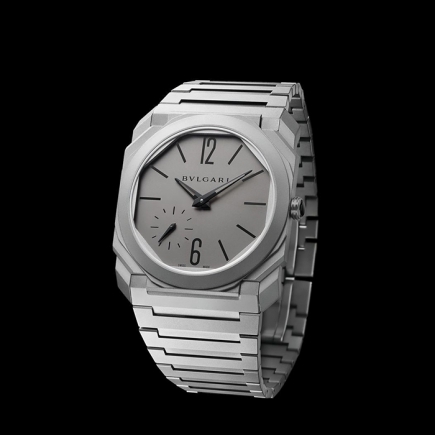 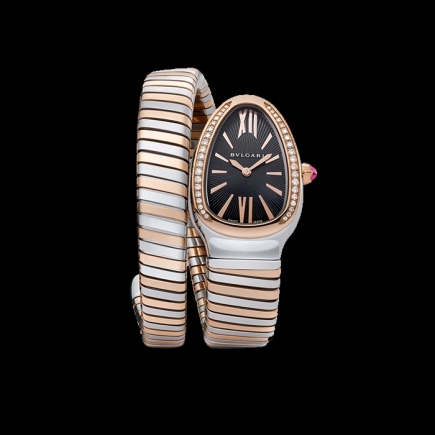 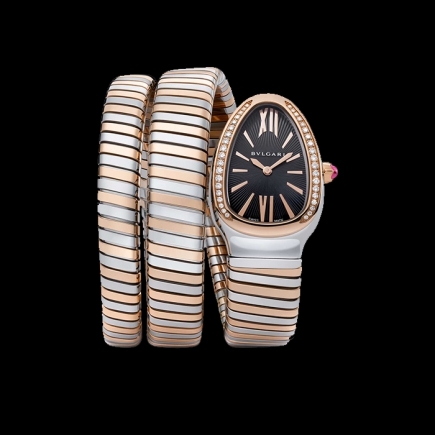 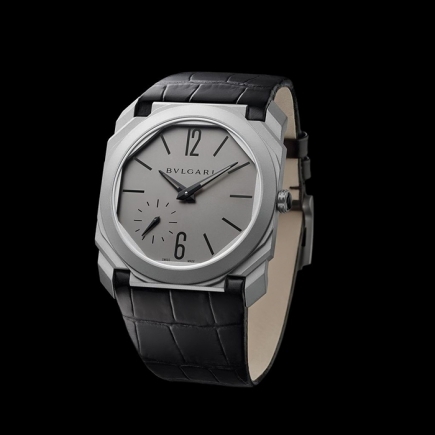 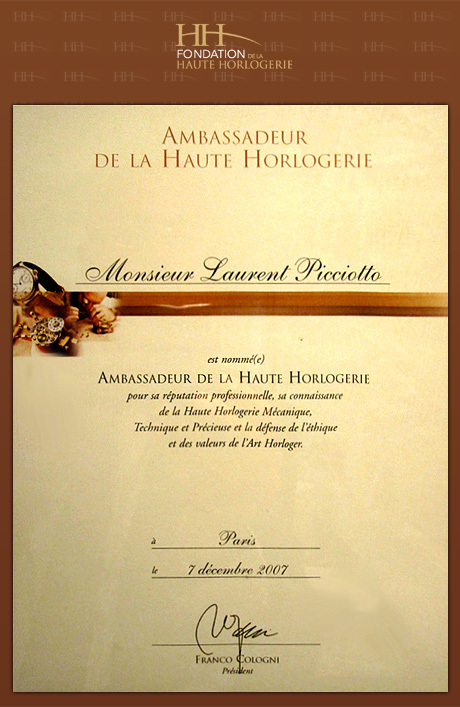 Bulgari develops, produces and assembles the miraculous Finissimo micro-components and cases them within its most emblematic watch collections, uniting dial and caliber in one ingenious entity and perfectly blending the strength of noble materials and high watchmaking complexity to bold architectural design. 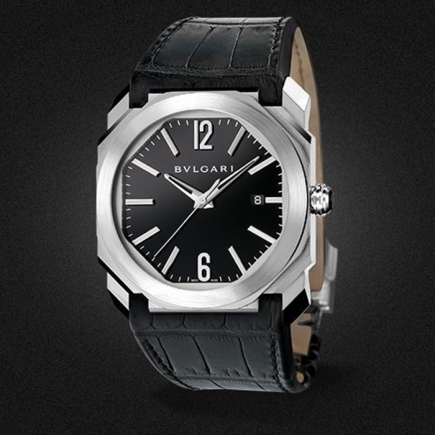 black alligator strap and titanium ardillon buckle.